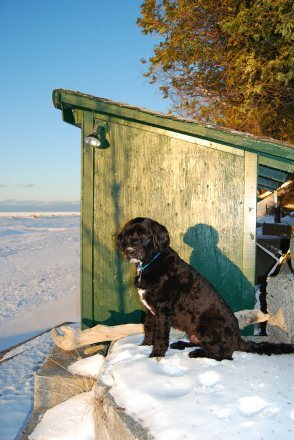 People looking for a purebred dog should educate themselves about all aspects of the breed in which they are interested. Water Dog breeders believe strongly that good health in dogs can only be maintained by the open discussion of health concerns. Good breeders should be happy to discuss these issues with you. 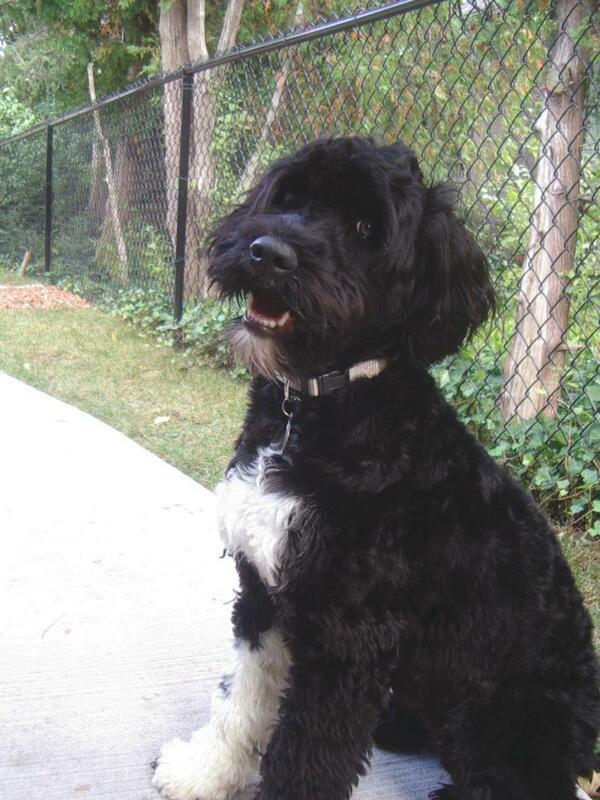 The Portuguese Water Dog is overall a very healthy, robust, family companion. But as in humans, and certainly all breeds of dogs, there are some health problems. 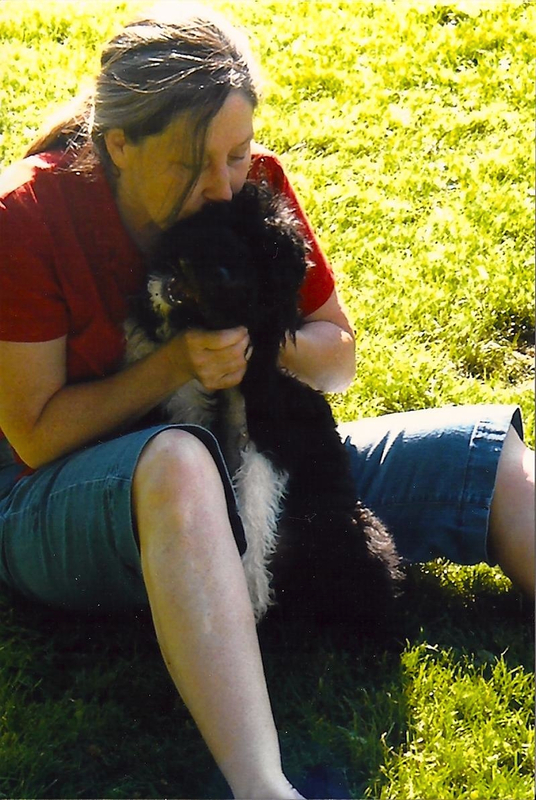 PRA: Progressive Retinal Atrophy is a genetically transmitted eye disease found in about 80 breeds of dogs, including Poodles, Akitas, Labrador Retrievers, and the Portuguese Water Dog. PRA causes the blood vessels of the retina to atrophy, or waste away. The end result of retinal atrophy is a gradual but progressive blindness. There is a simple genetic DNA blood test to identify normal non-carriers, carriers and affected dogs. For breeding purposes 'Normal' and 'Carrier' and 'Affected' rated dogs can be bred to "A" rated non-carriers, and the resulting litters will not produce affected dogs. Most breeds have some dogs with hips that are called 'dysplastic' - that is the hip joint is not formed perfectly. 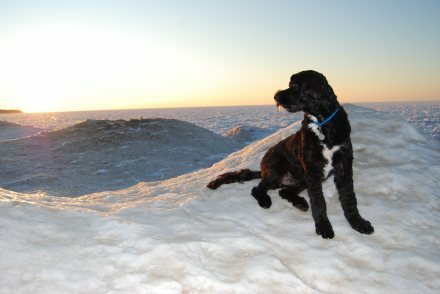 The dysplastic dog may have no pain or problems, or it may experience mild to severe discomfort when moving. Treatment, if necessary, can consist of aspirin, anti-inflammatory medication, or surgery in the most severe cases. Approximately 13% of all dogs X-rayed and sumitted to the Orthopedic Foundation for Animals (OFA) are found to be dysplastic. Breeders should make sire and dam OFA numbers available to prospective puppy buyers. Addison's is a rare disorder found in animals and in people. John Kennedy and Jane Austen, among others, lived with the disease. Addison's disease is caused by adrenocortical insufficiency - that is, the adrenal glands stop producing certain hormones that control sugar metabolism and maintain the the salt and water balances in the body. Approximately 1.44% of our Water Dogs are affected with Addison's. The cause of Addison's in PWD's is unknown at this time. Juvenile dilated cardiomyopathy (JDCM) did not acquire its name in our breed until about 1997. Sometimes, with no warning at all, an otherwise normal pup was simply found dead. There is now a test offered by the University of Pennsylvania for all PWDs. This test will determine whether they believe a dog to be a carrier or not. As long as one parent is clear the litter will not be affected. 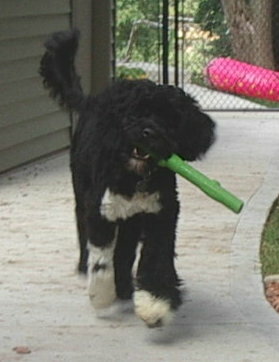 GM-1 Storage Disease is a rare disease that is only found in humans and the Portuguese Water Dog. It is a genetically transmitted fatal neurological disorder that is apparent around 5 months of age. The ONLY way affected puppies can be produced is by breeding a Carrier to a Carrier and NO responsible breeder would do this. No one can predict or guarantee the lifespan of a dog or if it will have a genetic problem, so to ask a breeder to make such a prediction is unrealistic. However, you should expect that the breeder has done everything in his or her power, and has used all the means available, to breed a healthy litter.